The challenges confronting teacher education in Nigeria are daunting but with adequate plan, purposeful implementation and belief in the Nigeria project, it is achievable. No doubt, the time for teacher reform is now,” stressed Prof. Bridget Sokan in July 2007 as she present her paper titled Teacher education reforms in Nigeria: A vehicle for attaining national and international targets at the first international conference on teacher education hosted by the Faculty of Education, University of Lagos, to brainstorm on how to tackle the numerous problems confronting the teaching profession. Ironically, Prof. Bridget Sokan recent activities at the UBE present a doubled edged quandary. This is as the investigation into the fraudulent award of contracts to the Connecticut based American company, Intermarkets, as informed observers have come to know, appears to exhibit more folds than investigators originally thought. The Executive Director of Universal Basic Education [UBE], Prof. Bridget Sokan has been reported by sources to be on the run from Nigerian Security operatives. Information available to Ukpakareports.com reveals the UBE boss has upped to not return to Abuja, Nigeria to face charges of criminal conspiracy and financial crimes. In turn, the EFCC has begun mulling available legal options to extradite the UBE boss. 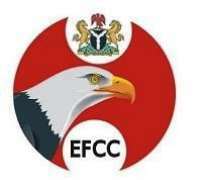 Operatives of Economic and Financial and Crimes Commission [EFCC] swooped in on the office of the UBE on the morning hours of May 5th 2009. The raid which netted the arrest of three officials of the UBE saw an absent Prof. Bridget Sokan – as she had traveled to Canada, according to reports. Nonetheless, the raid was followed by the arraignment of five UBE officials on May 18th 2009 on a 26-charge count for fraudulent award of contracts. The UBE officials - Molkat Manasseh Mutfwang (Deputy Director, Planning), Michael Mtonga Aule (Director, Planning and Information Management) and Andrew Ekpunobi (Deputy Executive Secretary) - were accused of conspiring with Cozma, Managing Director of Intermarkets USA LLC, to defraud the Federal Government of about N850 million. As Ukpakareports.com also learnt, Prof. Bridget Sokan who was contacted and told to return to face the charges against her indicated that she would return on May 25th 2009. But Prof. Bridget Sokan, in an attempt to avoid arrest by EFCC, directed her lawyer to seek an injunction against EFCC's arrest of her upon re-entry into the country. On May 26th 2009, the injunction was granted by the court. However the injunction did not last - as the counsel for the EFCC in the person of Mr. Shittu [SAN] vacated the injunction two days later on Thursday May 28th 2009. [The injunction was vacated at the Federal High Court in Abuja.] The quashing of the injunction by the EFCC according to sources led Prof. Bridget Sokan into recoiling into her resolution to remain in Canada. It can be recalled that some the charges against culprits read, that Michael Mtonga Aule, Dr. Andrew Ekpanobi and Prof. Bridget Sokan now at large, on or about 1st November, 2005 at the Universal Basic Education Commission (UBEC), No. 7 Gwani Street Abuja within the jurisdiction of the Honourable court acting as public servants to wit; the Deputy Director Planning, Universal Basic Education Commission (UBEC), Procurement Officer for Universal Basic Education Commission (UBEC), Director Planning and Information Universal Basic Education Commission (UBEC), the Deputy Executive Secretary Universal Basic Education Commission (UBEC), with intent to defraud the Federal Government of Nigeria and confer benefits unto themselves, conspired with Intermarkets USA LLC and Alex Cozma to induce and deceive Universal Basic Education Commission (UBEC) into awarding contract in the sum of seven Hundred and eighty-seven million, nine hundred and sixty eight thousand naira (N787,968,000.00) to Intermarkets USA LLC and Alex Cozma out of which the sum of six hundred and thirty six million two hundred and eighty four thousand, three hundred and sixty naira (N636,284,160.00) representing 85%mobilization fee was paid to Intermarkets and Alex Cozman and thereby committed an offence contrary to section 8(a)(b)(c) of the Advanced Fee Fraud and other offences Act, 2006. That Michael Mtonga Aule, Dr Andrew Ekpanobi and Professor Bridget Sokan now at large, on or about 1st November, 2005 at the Universal Basic Education Commission (UBEC), No. 7 Gwani Street, Abuja, within the jurisdiction of the Honourable court acting as public servants to wit; the Deputy Director Planning, Universal Basic Education Commission (UBEC), Procurement Officer for Universal Basic Education Commission (UBEC), Director Planning and Information Universal Basic Education Commission (UBEC), the Deputy Executive Secretary Universal Basic Education Commission (UBEC), with intent to defraud the Federal Government of Nigeria, by false pretences, fraudulently subverted due process in awarding or causing to be awarded to Intermarkets and Alexander John Cozman contract for the supply of plastic materials and falsely represented that the said contract was awarded after advertisements in Thisday Newspapers of March 15th 2004and New Nigerian Newspapers of March 15th 2004 and the Punch of March 15th ,2004 respectively and thereby committed an offence contrary to sections 1(1)(a)(b), 1(2),1(3) of Advanced Fee Fraud and other Related Offences Act, 2006.